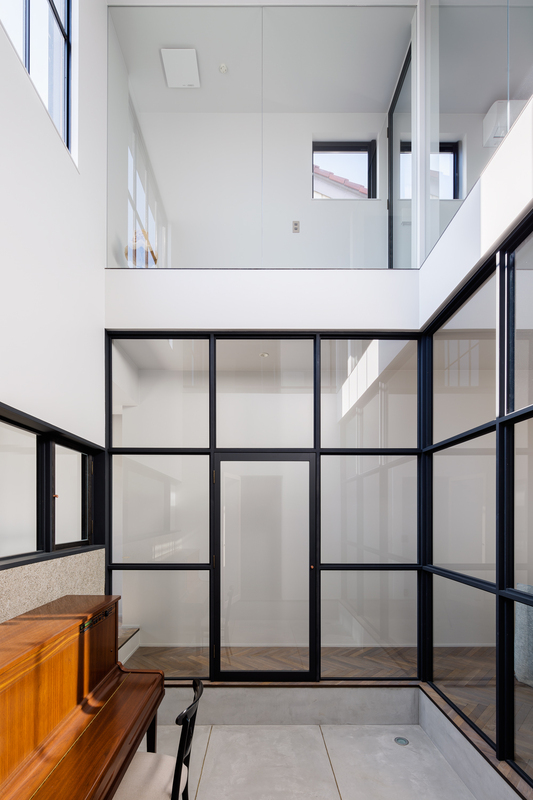 The site minimalist Residence in Takariya is located on a corner lot within a newly built residential complex designed by Nakasai Architects. 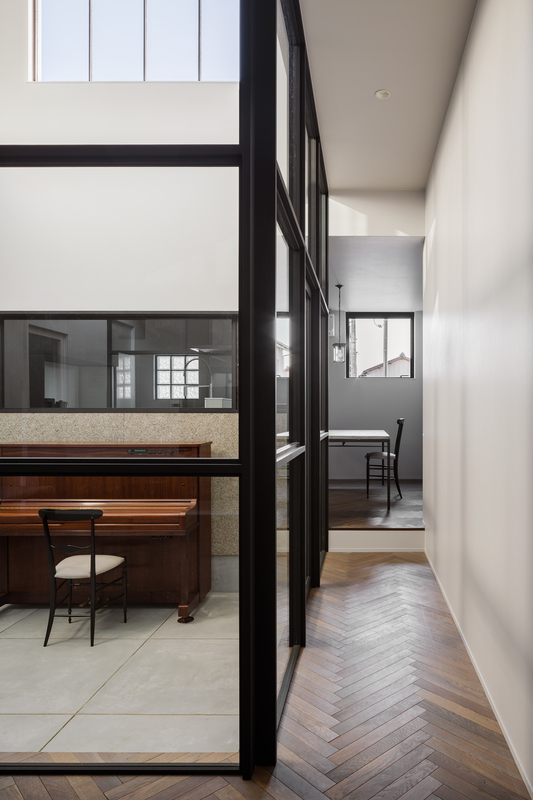 An internal courtyard was planned in order to maximise natural light without compromise to privacy. The various programs surround this centre courtyard, and allows for transparency and openness between the various spaces. The architects used a special mortar that is not only lightweight, but has 10 times the thermal insulation and breathability of concrete. 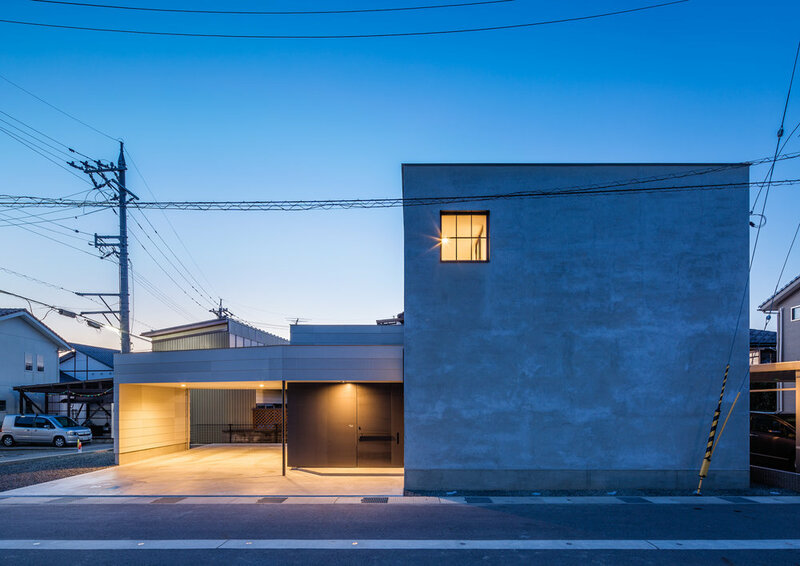 The premises of this house is located on a corner of a new residential housing complex in Toyama City Rice Towers, Japan. Taking advantage o the natural light, the architects designed an internal courtyard that leveraged this and provided privacy throughout. This was positioned as "outside living room", where the family could relax and connect to other areas of the home via this space. According to the owner's request, the exterior wall is "shabby chic" with a mortar finish. The mortar used is a "super light insulation mortar" which has high breathability and heat insulation performance 10 times that of concrete. The photography was taken by Ippei Shinzawa.